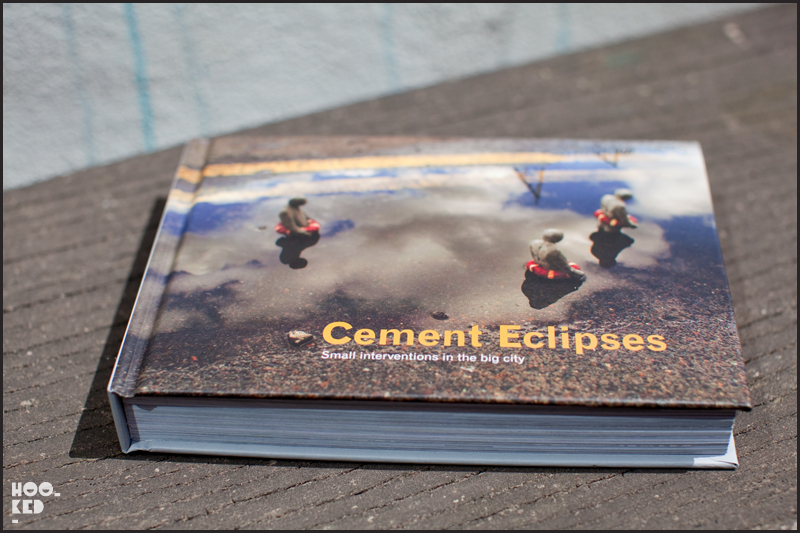 We have been enjoying the London sunshine today and took the chance to take a break from the computer screen and have a flick through Isaac Cordal's new book Cement Eclipses - Small Interventions in the Big City. Traveling between London and Brussels the spanish street artist has spent the last few years populating the city with his miniature concrete dwellers. Some of our eagle eyed readers may have encountered these 25cm figurines across East London on their travels. Often perched up high on walls, tops of bus shelters and ledges watching passers by below them, these figures are often so subtle that they are frequently missed but once spotted they bring a sense joy to those fortunate enough to stumble upon them. Unfortunately many people also feel the need to take the cement dwellers home with them once seen, with some only lasting hours in the street after being placed by the artist. 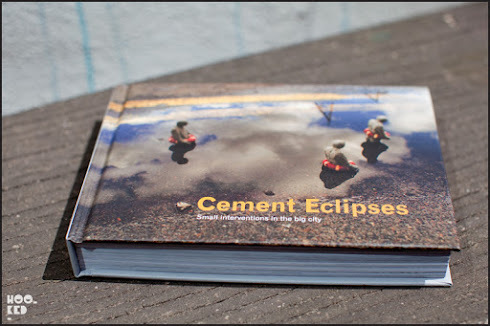 Fortunately Isaac Cordal has been very thorough at documenting his placed urban interventions with the results complied for the first time in this new publication. 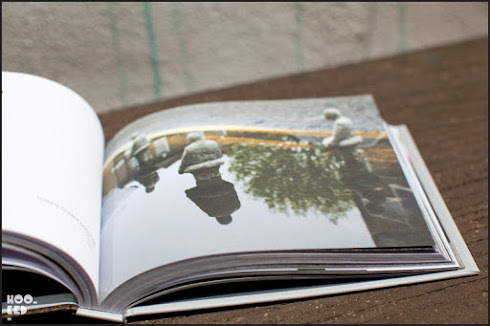 Published by Carpet Bombing Culture the new book is set to be released this Thursday at the Pure Evil Gallery with an accompanying exhibition featuring the artist work. There will be a preview Thursday 26 May from 6pm and the book will be available to purchase on the evening of the launch. Two special editions of the book are also available each coming with an original limited edition sculpture. All editions are available for pre-order now from the Carpet Cuture Bombing website. Thanks for the post! 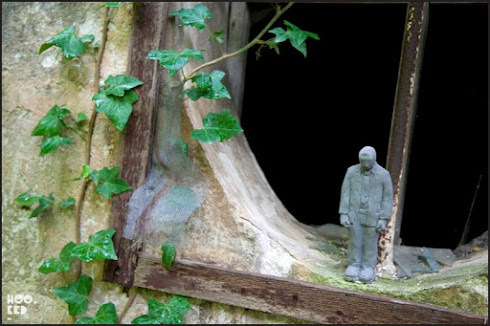 Isaac Cordal sculptures are amazing ... I found beautiful pictures of his Miniaturization Street Art in Art Days, here is the link! http://www.art-days.com/isaac-cordal-miniaturization-street-art/ ;) !